Whether due to ridiculous contracts or surprises with our monthly phone bills, different circumstances have led to a proliferation of MVNOs which is short for mobile virtual network operator. One of the best known communication protocols is VoIP and many of these new companies are trying to use this protocol to attract users to these virtual networks. When checking into the service one can use an e-mail address and password or use their Facebook account and along with it the person will have their Facebook contacts available. But what about how to pay and how much? 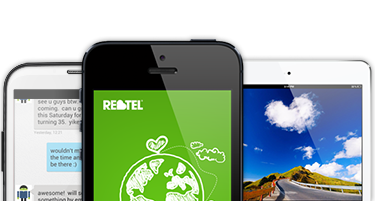 With Rebtel you can buy credits to the service using a credit card or PayPal on a fairly simple process. Once enrolled, Rebtel will send a PIN also known as a personal identification number that the user will need along with the mobile number to enter. With this application you can easily find how much will it cost per minute to call within any of the countries in their coverage area using your landline, mobile phone or even SMS. Therefore we’re talking about an application that apparently suits our needs and our pocket.